In stock - low quantity. Order in the next 3 hours, 30 minutes and it will go out today! This exciting manual could unlock a new career for you! Learn "insider secrets" of selling and marketing shows to child care centers, kindergartens, pre-schools, and after-school programs. 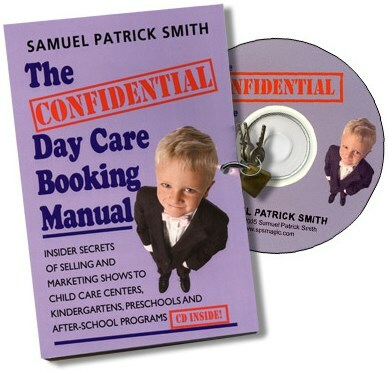 The Confidential Day Care Booking Manual will teach you exactly how to get started in the fun and profitable business of booking and performing these shows.